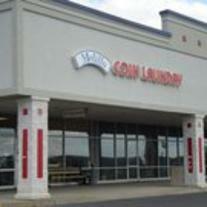 Being A Clean, Friendly & Family-Oriented Laundromat, We’re Able To Offer You That Personal Touch You’ve Been Looking For. Our Goal Is To Always Make All Of Our Customers Happy And We Believe In Treating Each Customer Like A Part Of Our Family. At Melillo Coin Laundry, We Care About You And Your Laundry And We’d Like To Share Our Most Important Services And Products With You. Feel Free To Click On Our Services and Vending Links For More Details. IT TAKES JUST 4 MINUTES TO DO YOUR LAUNDRY WITH OUR WASH - DRY - FOLD SERVICE!! FROM YOUR LAUNDRY CHORES . . .
Give The Gift Of Clean Laundry . . .
We Look Forward To Hearing From You Soon! And When You’re In DuBois We Hope You Come In And Visit. To Let Us Know You Were Here.